In 1987, Whitney Houston released her second album, the self-titled Whitney. The album — which was certified platinum nine times — contained four number one singles, establishing Houston as the only artist to have seven consecutive number one hits. Seven. The new eponymous documentary, sharing the name of that album, was released on July 6th. 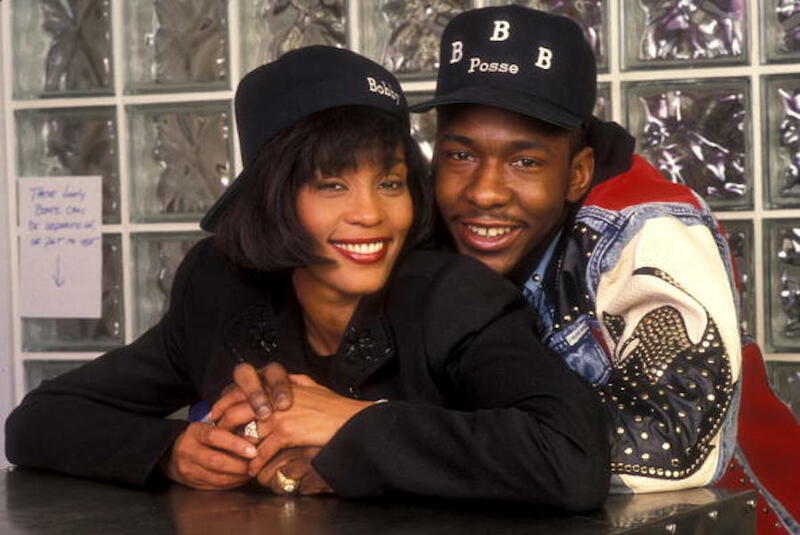 But unlike the jovial and buoyant record that cemented Houston as America’s first Black “sweetheart,” the adjective that most encompasses Kevin Macdonald’s Whitney documentary is sad. However, much like Houston’s career, the documentary doesn’t start that way. 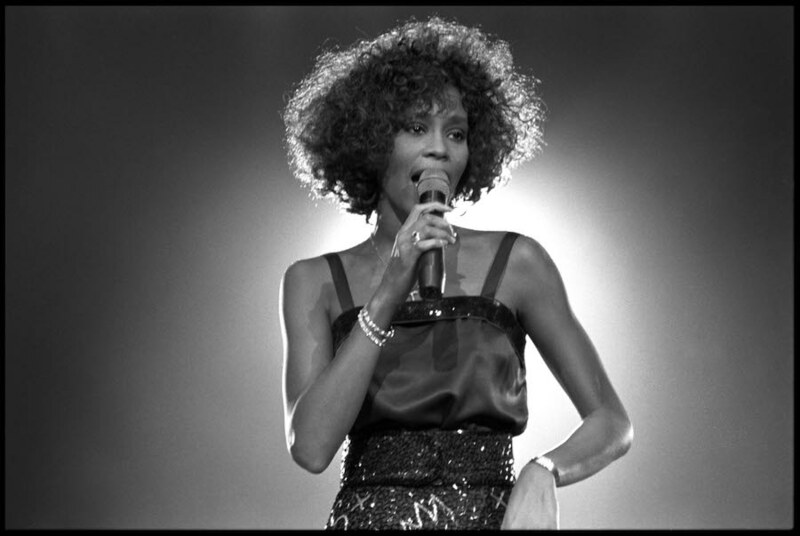 We see the stunning clip of Whitney’s first television performance, as she sings “Home” on The Merv Griffin Show, silencing the crowd with the power reverberating from her 19-year-old voice. There are beautiful captured moments of her cutting her teeth in her church choir and singing backing vocals for her mother, Cissy Houston. Her career soon takes off at a breakneck speed, and even when her friends and family comment on notes of trouble, those interviews are followed by shining notes of hope that show off her incomparable talent — like her one-take “Star Spangled Banner” performance at the 1991 Super Bowl. That iconic rendition embodied so much of who Whitney was for the entire country. At one point, an interviewed fan states that the national anthem is his favorite song by the pop singer. In the ’80s, Whitney Houston represented so much to the Black community, not only because of her talent but because of how she was portrayed: the girl next door, Christian, family loving, startlingly beautiful with a staggering vocal range. So, what went wrong? Through first-hand accounts from close friends and family members, intimate photos, and behind the scenes footage, the documentary attempts to answer that question. First, interviews in the documentary make it clear that the perfect musical family and doting daughter touted by Arista head executive Clive Davis was, like much celebrity marketing, manufactured to sell records. And her upbringing was anything but picture-perfect; her parents would go to her events as a couple long after their divorce only to bolster the loving family narrative. The film also touches on Houston’s much discussed drug use. 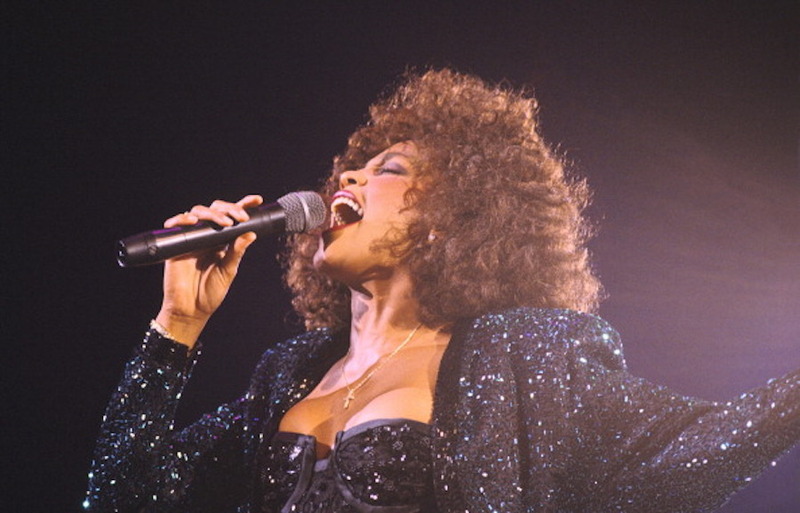 Her brothers mention giving her cocaine and marijuana as a birthday gift, revealing that Whitney’s drug use began as a teenager, despite the common media narrative alleging it began later in life, long after her successful career and triumphant touring days. In reality, like many pop stars, her addiction struggles were always there, even during her most applauded moments. The documentary uncovers how our culture dehumanizes celebrities, turning them into one-dimensional performers and money-making machines. The film reinforces that we ignore the aspects of their lives that are flawed and human. Even when Whitney seemed to be hanging from a thread by multiple accounts — spending weeks-long drug binges locked in her hotel room — family and friends appeared to walk on eggshells instead of pushing her towards rehabilitation. The reason? Many of them were on her payroll, so if she stopped working, they’d stop making money. The most prominent example of this can be seen in the exploitative nature of her father’s $100 million lawsuit against his daughter. Houston’s engineered pop star persona concealed secrets that may have contributed to her downfall. Shortly after her Aunt Mae describes Houston’s childhood as happy and without negativity, her brother Gary Garland-Houston and longtime assistant Mary Jones establish a completely different version of events. Jones recounts Houston confiding in her about her cousin, performer Dee Dee Warwick, molesting her and her brother while her mother Cissy was away on tour. Like many of our sweethearts and those we thrust onto pedestals, we, as a country, seem to take pleasure in dismantling those very same pillars — leaving idols like Whitney with nothing to stand on. Macdonald’s documentary is not just a tale of celebrity and fame, but a story of how family secrets and primordial relationships come back to haunt us — seeping into our decision making, shaping our fears of who and what we are, and eventually, when left unexamined, leading to self-destruction.